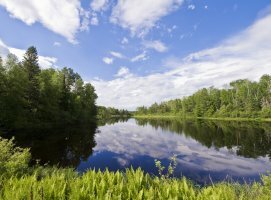 About EmpoweringParks.com -- About EmpoweringParks.com, a site that celebrates the transformative nature of our state and national parks, forests, lakes, rivers, and all open spaces. Find a Park -- Use EmpoweringParks find-a-park feature to locate national or state park, forest, wildlife refuge, trail, recreation wilderness area, and/or scenic byway. 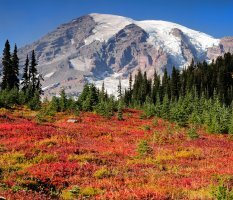 Gallery of Parks -- From EmpoweringParks.com, a site that celebrates the transformative nature of our parks, a photo gallery of National Parks. National Parks -- Free guide to discovering wonders of U.S. National Parks. Find entire alphabetical list of national parks. Obtain information, insider tips, and pictures. National Monuments -- Free guide to discovering wonders of U.S. National Monuments. Find alphabetical listings, photos, and links to each official national monument site. National Forests -- Free guide to discovering wonders of all U.S. National Forests. Find alphabetical listings, photos, and links to each official national forest site. National Grasslands -- Free guide to discovering wonders of U.S. National Grasslands. Find alphabetical listings, photos, links to each official national grassland site. National Preserves -- Free guide to discovering wonders of U.S. National Preserves. Find alphabetical listings, photos, links to each official national preserve site. National Recreation Areas -- Free guide to discovering wonders of U.S. National Recreation Areas. Alphabetical listings, photos, links to each official national recreation site. National Seashores/Lakeshores/Rivers -- Free guide to discovering wonders of U.S. National Seashores, Lakeshores, Rivers. Alphabetical listings, photos, links to each official national site. National Wilderness Areas -- Free guide to discovering wonders of U.S. National Wilderness Areas. Alphabetical listings, photos, links to each official national sites. National Wildlife Refuges -- Free guide to discovering wonders of U.S. National Wildlife Refuges. Alphabetical listings, photos, links to each official wildlife refuge site. 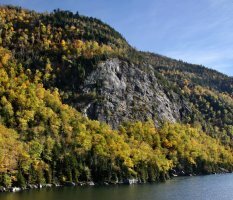 National Conservation Areas -- Free guide to discovering wonders of U.S. National Conservation Areas. Find alphabetical listings, photos, links to official conservation area site. National Trails -- Free guide to discovering wonders of U.S. National Scenic, U.S. National Recreational Trails. Alphabetical listings, photos, links to national sites. National Scenic Byways -- Free guide to discovering wonders of U.S. National Scenic Byways. Alphabetical listings, photos, links to each official Scenic Byways sites. Park Jobs and Seasonal Employment -- Free guide to job leads, jobs, seasonal employment opportunities at national parks, state parks, campgrounds, recreation areas, and other outdoor employers. Parks Travel Blog -- A companion blog to EmpoweringParks.com. Launching soon, it will feature regular tips on traveling to state and national parks and natural areas, as well as nature photography and other interesting travel tidbits along our adventure. Search EmpoweringParks.com -- Use our powerful search engine to find the information you are seeking. Includes results from EmpoweringParks.com, as well as its sister site, EmpoweringRetreat.com, and companion blog, Sanctuary Blog.